It all began in 1972, when Sergio Finocchi, pioneer of the Italian rendering industry, founded Farpro, to process animal blood collected from slaughterhouses, which – until a few years earlier – had been dumping it in rivers and fields, causing considerable pollution. The year in which Farpromodena S.p.A was established, with a plant in Spilamberto and two production lines for the processing of waste blood for the production of animal meal, which was used as raw materials for feeds and fertilizers at that time. Expansion of the Farpromodena SpA plant to house a total of five production lines. The company offers a rapidly expanding collection service led by Sergio’s daughter Alessandra Finocchi and her husband Nicola De Paola, which handles up to 100,000 tonnes a year of processed raw material. Farpro established Haripro S.p.A., setting up facilities in a site adjacent to Farpromodena as part of a joint venture with Harimix (a leading European company in the processing of plasma and haemoglobin) to further add value to blood collected so far and the agrifood supply chain. 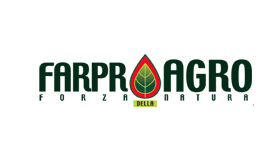 Farpro established Eurogel SpA, a facility in the province of Mantua (the centre of the Italian slaughter industry) for the production of frozen raw materials for the pet food industry and organotherapy. Production began of organic and organo-mineral liquid fertilizers sold under the FarproAgro brand. Work began to convert the Farpromodena SpA plant, originally used for the production of blood meal, to include three lines for the production of new animal meals and hydrolyzed proteins. 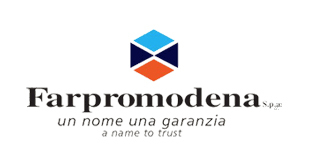 Creation of a single umbrella brand, Farpro Group, covering food, pet food and organotherapy, feed and fertilizer divisions to replace the old Farpromodena, Eurogel and FarproAgro brands. Development of the production lines and expansion of the Spilamberto plant.